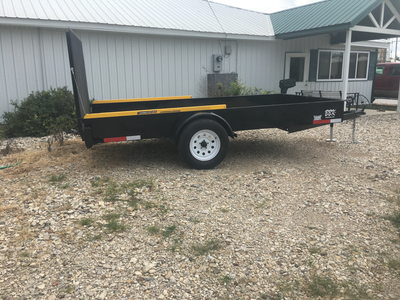 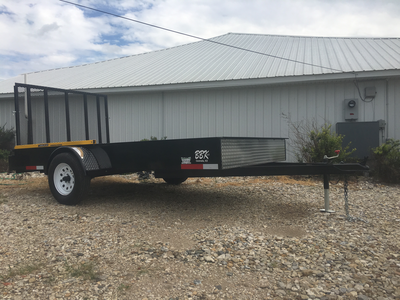 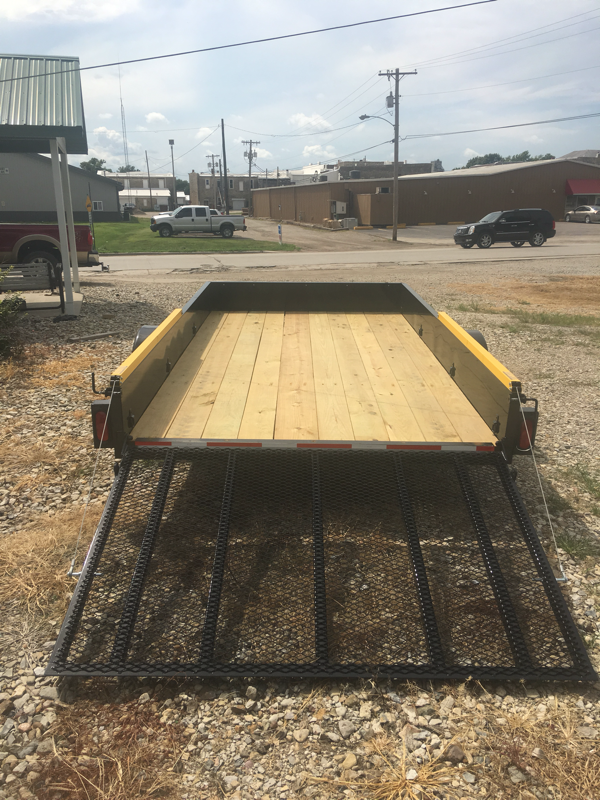 BBK single axle utility trailers have a 76”wide deck and are 12’ long. 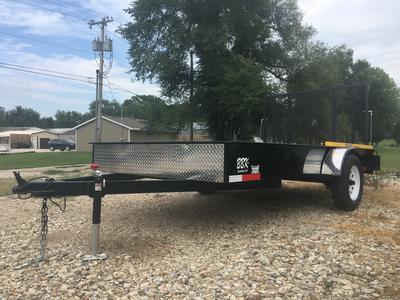 The trailers are equipped with a 3.5K spring axle, 15” radial tires, 4” channel iron tongue, and 3” angle iron frame. 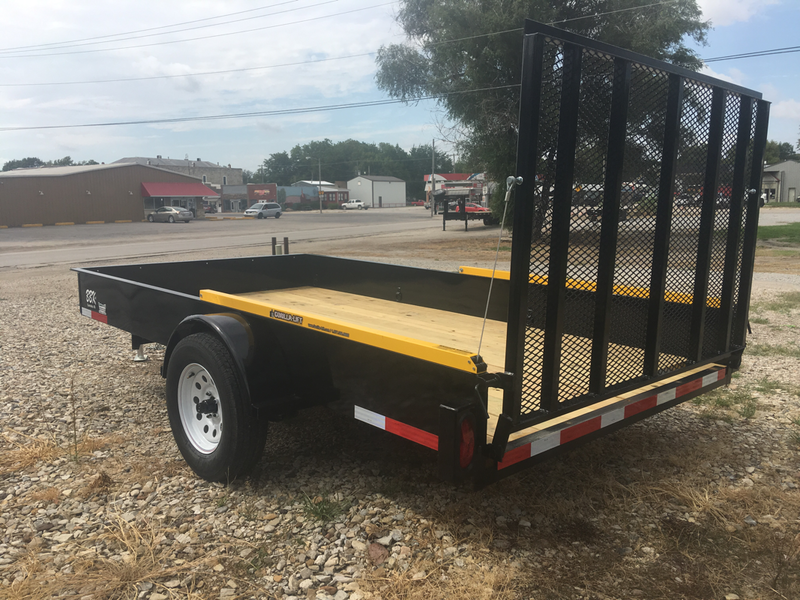 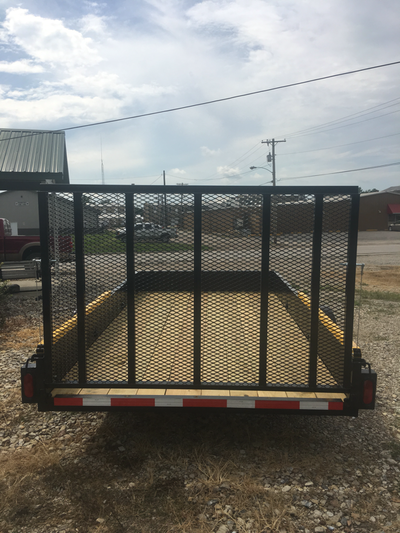 The trailers are available in either a tilt or with a rear ramp gate.